It’s basically summertime. The sun is out longer, the air is warmer and you don’t have to heat your car for 20 minutes before taking it out for a spin. And you will: summer’s made for driving around, cranking music. You’re going to need some new tunes. 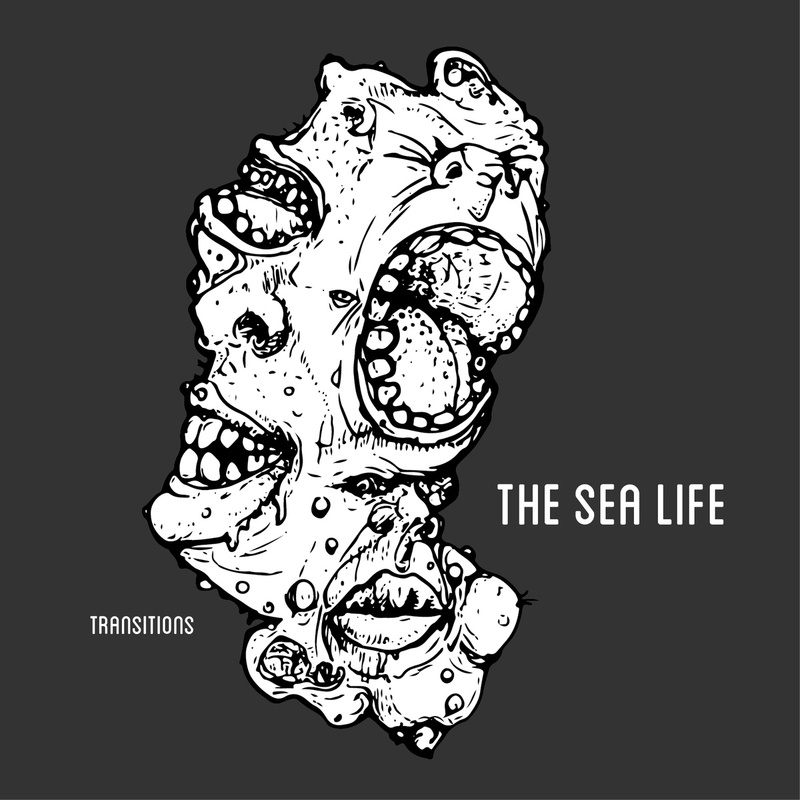 Enter Washington DC band The Sea Life and their four-track EP Transitions. These guys released their third record a few months back, at the tail end of 2013. This quintet bills themselves with Bandcamp tags for lo-fi, shoegaze, and art rock. Personally, I see them more as indie rock in the Tokyo Police Club and Bombay Bicycle Club mould, right down to the tinkling keyboards, backing vocals, and spiky rhythms. Transitions is a short EP: four tracks, with total running time of just over ten minutes. They still manage to pack a bit in: sunny backing vocals, propulsive drumming and fuzzed out guitar breaks. It opens with two decent tunes. First comes “Transitions,” straightforward indie pop, with a couple nice guitar breaks and tons of backing vocals. Next is “Skinnybones,” which goes back and forth between plucked guitar and fuzzy leads. But the EP really picks up with “NY Models.” Over a bouncy rhythm section and warm keyboards, they sing about New York: “I’m breaking bottles, hitting on New York models, it’s fucked up.” Soon everything drops away for what sounds like a marimba, cymbal crashes, and that lead guitar, slowly building up the tension before the singer shouts “All my friends are leaving… I don’t care.” It’s fun, good indie rock. Slip it onto any mix of indie pop from the last five years and nobody would blink an eye. Closing off the EP is “Hounds of Thought.” It’s also a good cut, but in a different way. It opens with pounding drums and bass before chugging guitars kick in and the keyboard’s all but gone. The stripped down sound is a nice indication of where they’re headed musically. Soon the singer’s shouting about an ex: “Well you can break my head.” It’s another fun one, but it doesn’t have a lot in common with the track before it: if that was keyboard-driven pop, this is more of a garage rocker. Those two tracks show The Sea Life’s mix of fuzzy indie pop, loud guitars and sunny vocals strike me as all, but made for summer listening. This EP is a little uneven – in an interview with DC Music Download, their lead guitarist admitted the process was rushed – but it’s back end is interesting enough to keep them in mind when making a summer mix. More from M. Milner here.